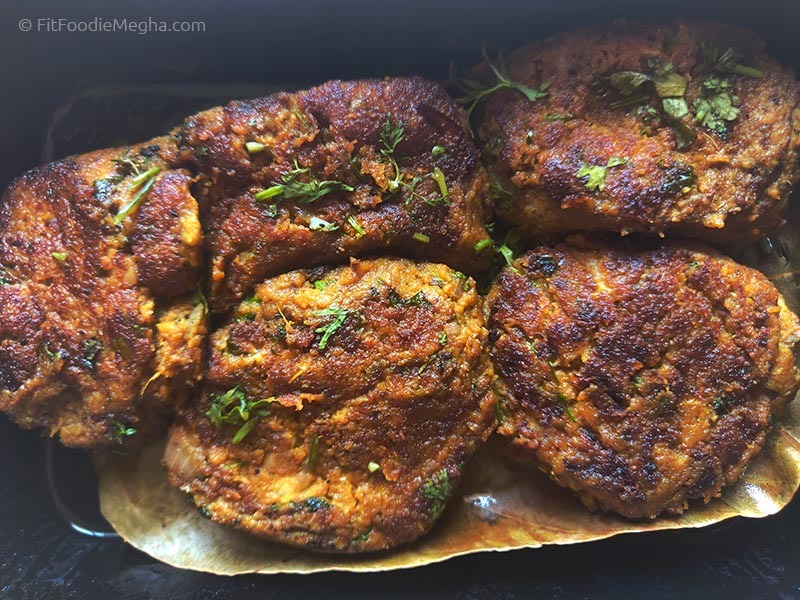 Fit Foodie Megha: La Kebabiya – Honest Awadhi food finally! — Reviewed! 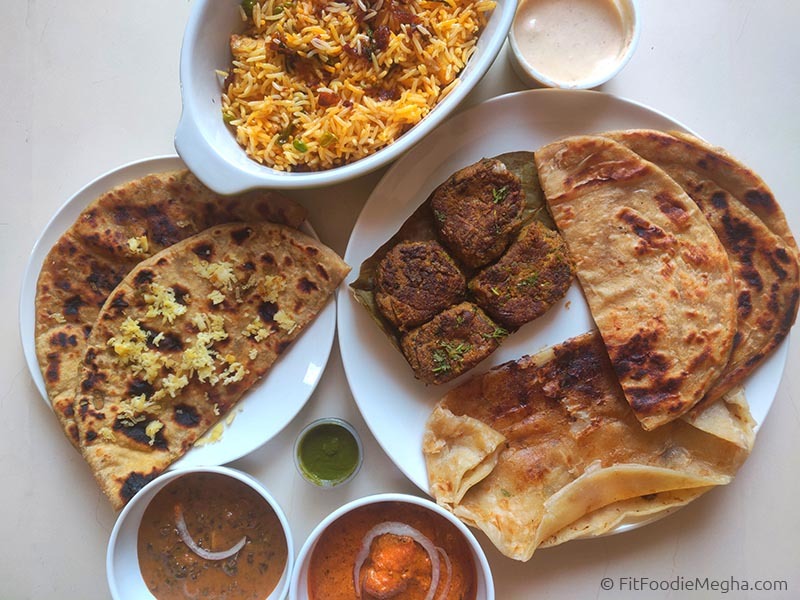 La Kebabiya – Honest Awadhi food finally! — Reviewed! 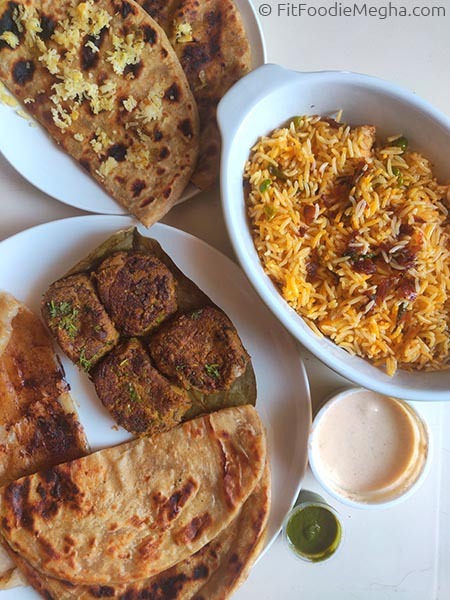 Awadhi cuisine is highly influenced by Mughals and the dishes also known as nawabi foods are cooked in rich exotic spices, herbs, and dry-fruits. 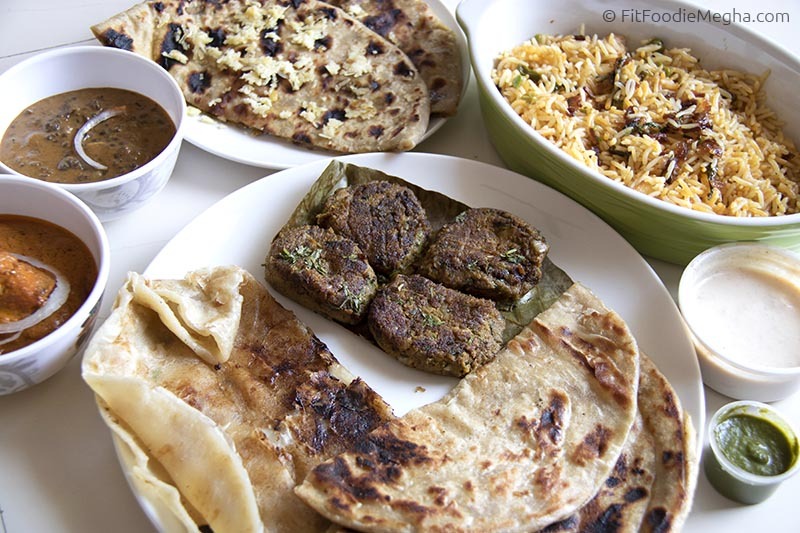 Usually, Awadhi food is concomitant with the meat. 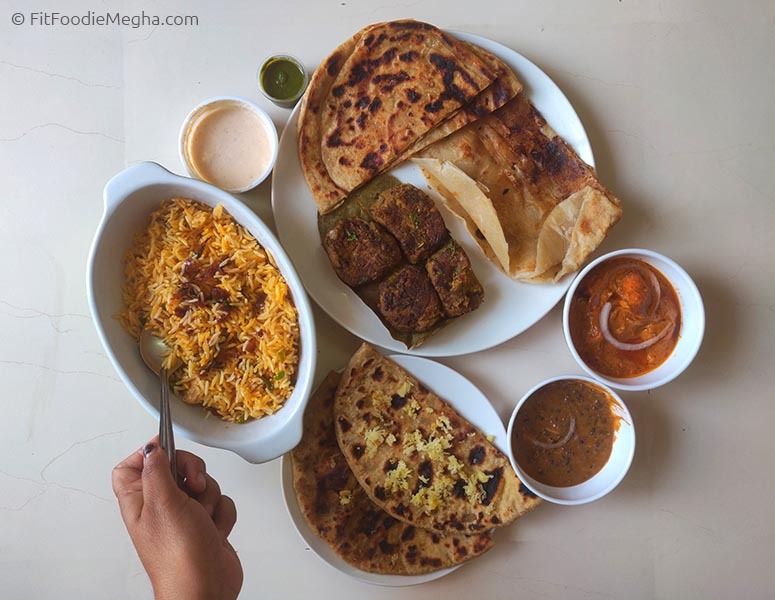 How often do we get to eat scrumptious authentic Vegetarian Awadhi food and that too in a non-Awadhi region like Pune? The delivery was prompt, punctual and hassle-free. The boxes were nicely packed and were spill-free. Started our meal with the Kebabs and trust me they were one of the finest melt-in-mouth Galouti Kebabs (Rs.170) until now. Minced veggies were medium spiced and not too oily. Each serving had 6 pieces. Quite filling. Highly Recommended! 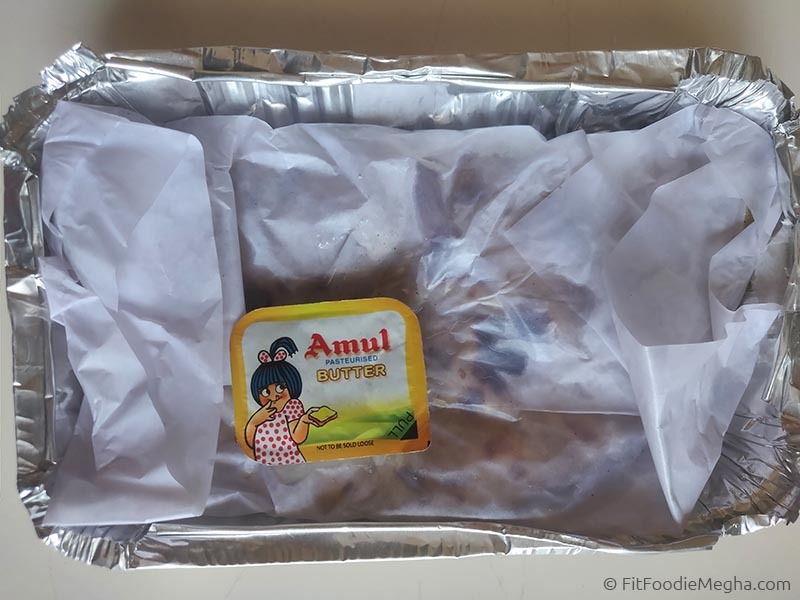 I found Butter Paneer (Rs.200) tad oily however it tasted good. The tomato-based rich gravy was suitable for the medium-spiced palate. Delicious combo when paired with the soft Ulte Tawe ka parantha. I wish Lachcha Parantha had more multi-layers to give it a crisp texture. 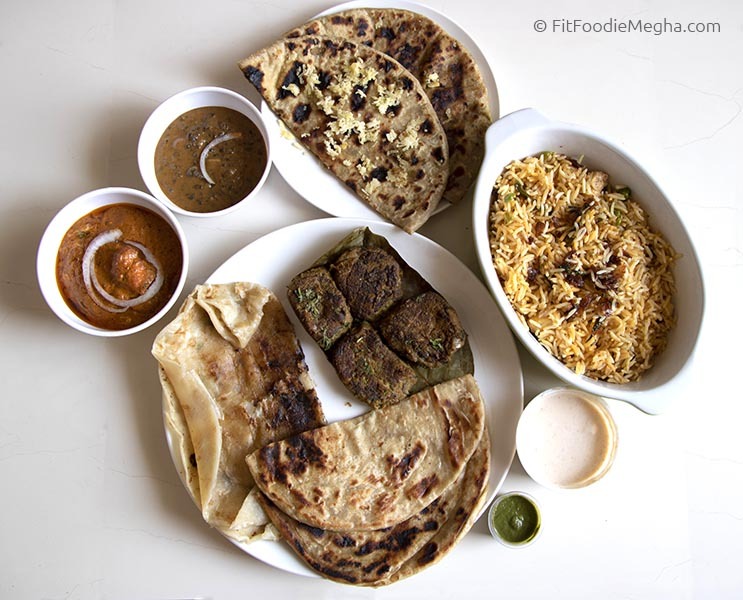 The Mushroom Cheese Garlic Parantha (Rs.130) was surprisingly delectable! Served with the portion of Dal Makhani and Butter, the parantha was a meal in itself. Dal Makhani was the star-dish and the smoky flavour and aroma to the dal elevated the taste to the next level. Wish the dal makhani was served a bit more with the paranthas. Highly Recommended! Lastly, the most awaited and the show-stopper of the meal was the flavoursome Veg Biryani (Rs.200) accompanied with raita and chutney. 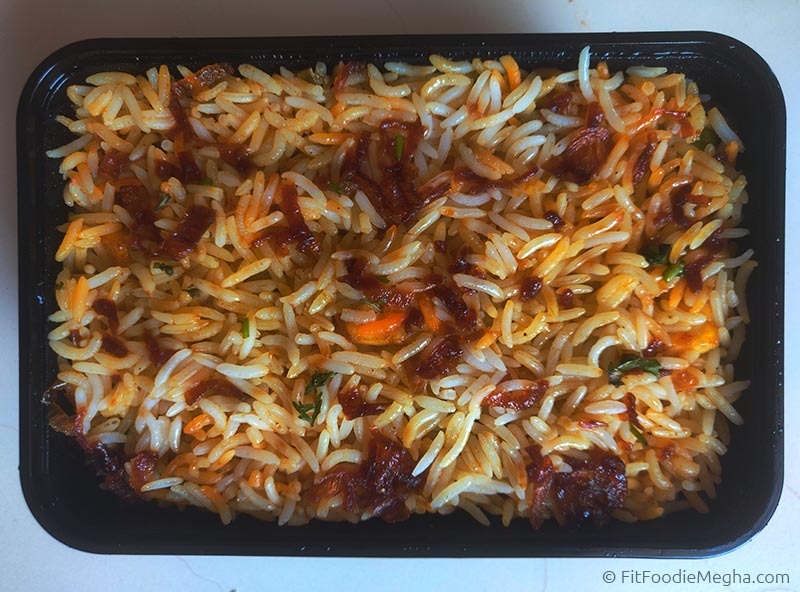 As soon as you open the box, the burst of aroma drives you to devour the biryani right away! One of the best Biryanis I have had. 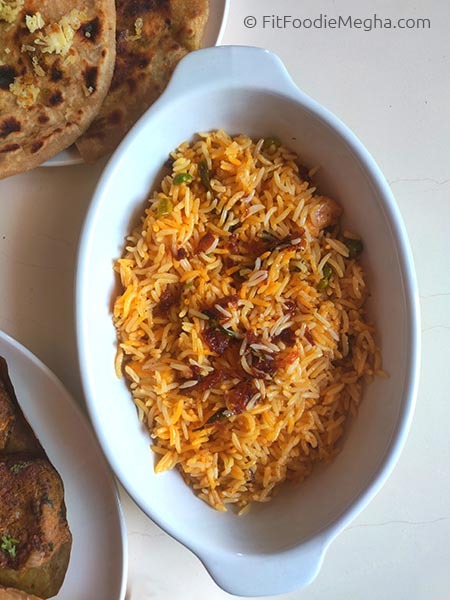 The balance of flavours, a drizzle of kevda water, caramelized onions, layered paneer underneath the bed of aromatic long rice is what defines this dish. Do not forget to try the Biryani! I am pleased to find La Kebabiya to satisfy the cravings of Awadhi Food. Desserts were missing on the menu; hope they introduce it some time soon.